Submacular hemorrhage (SMHs) is a visually debilitating condition that may be associated with a variety of underlying etiologies. Long-term visual loss can occur secondary to the toxic effects of blood and iron on the photoreceptors, prolonged separation of the photoreceptors from the retinal pigment epithelium (RPE), sheering forces of the fibrin clot on the photoceptors or creation of scar tissue.1,2 SMHs is most commonly associated with age-related macular degeneration (AMD) but may also be observed in various other pathologies associated with choroidal neovascularization (CNV) such as myopia, polypoidal choroidal vasculopathy (PCV), trauma, presumed ocular histoplasmosis and angioid streaks.1 SMHs may also present as a complication of laser photocoagulation or scleral buckle surgery. Treatment options vary and are tailored to characteristics of the SMHs. Small SMHs can typically be observed, medium SMHs are typically amenable to treatment and large SMHs often have a poor prognosis regardless of treatment.1 This paper will provide a brief overview of current treatment options, patient selection and outcomes. In-clinic management options include photodynamic therapy (PDT), pneumatic displacement and monotherapy with anti-vascular endothelial growth factor (anti-VEGF) drugs. Advantages of these procedures are that they can be performed in the clinic and are minimally invasive. PDT may have a role in treating SMH secondary to AMD but, to our knowledge, no head-to-head studies comparing PDT to other treatment modalities have been published to date. An alternative surgical intervention is macular translocation. This approach is associated with variable visual acuity outcomes and may be complicated by the development of proliferative vitreoretinopathy, CNV, cataract and retinal detachment.10 This approach may be of benefit for patients with severe vision loss secondary to large SMH when alternative methods have not yielded satisfactory outcomes. In sum, management of SMH depends on the size, chronicity and thickness of the SMH. Knowledge of the underlying disease process can also help tailor management by addition of anti-VEGF or tPA therapy. With appropriate and timely management, many patients with SMH are able to achieve some improvement in visual acuity, but ongoing therapy with intravitreal chemotherapeutics may be necessary to maintain the initial visual acuity gains. Driscoll S, Garg S. Managing Submacular Hemorrhage. Rev Ophthalmol. 2014 Jan 6. Available at https://www.reviewofophthalmology.com/article/managing-submacular-hemorrhage. Accessed on Jan. 29, 2018. Veena CN, Raman P, Angadi P. Managing Traumatic Submacualr Hemorrhage. IJCMR. 2016;3(11):3151-3155. Bennett SR, Folk JC, Blodi CF, KlugmanM. Factors prognostic of visual outcome in patients with subretinal hemorrhage. Am J Ophthalmol. 1990 Jan 15;109(1):33-37. Nasrallah F, Jalkh AE, McMeel JW, Schepens CL. Subretinal hemorrhage in atrophic age-related macular degeneration. Am J Ophthalmol. 1989;107(1):38-41. McCabe CM, Flynn HW Jr., McLean WC, et al. 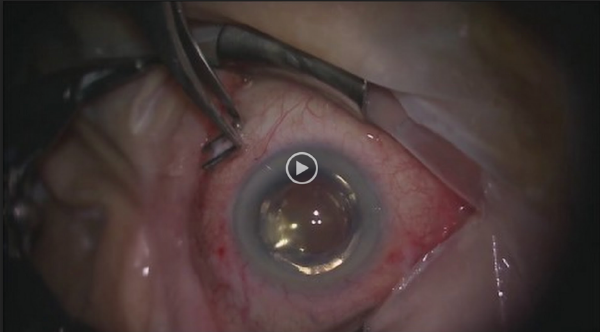 Nonsurgical management of macular hemorrhage secondary to retinal artery macroaneurysms. Arch Ophthalmol. 2000;118(6):80-785. Wu TT, Sheu SJ. Intravitreal tissue plasminogen activator and pneumatic displacement of submacular hemorrhage secondary to retinal artery macroaneurysm. J Ocul Pharmacol Ther. 2005;21(1):62-67. Dong LM, Childs AL, Mangione CM, et al; Submacular Surgery Trials Research Group. Submacular Surgery Trials Research Group. Health- and vision-related quality of life among patients with choroidal neovascularization secondary to age-related macular degeneration at enrollment in randomized trials of submacular surgery: SST report no. 4., Am J Ophthalmol. 2004;138(1):91-108. Lewis H. Intraoperative fibrinolysis of submacular hemorrhage with tissue plasminogen activator and surgical drainage. Am J Ophthalmol. 1994;118(5):559-568. Machemer R, Steinhorts UH. Retinal separation, retinotomy, and macular relocation: II. A surgical approach for age-related macular degeneration? Graefes Arch Clin Exp Ophthalmol. 1993;231(11):635-641. Treumer F, Roider J, Hillenkamp J. Long-term outcome of subretinal coapplication of rtPA and bevacizumab followed by repeated intravitreal anti-VEGF injections for neovascular AMD with submacular haemorrhage. Br J Ophthalmol. 2012;96(5):708-713. Olmos L, Flynn HW Jr., Leung E. Submacular hemorrhage associated with age-related macular degeneration: favorable response to treatment with intravitreal ranibizumab alone. AMD Update. 2010 Oct. Available at https://www.ophthalmologymanagement.com/newsletters/amd-update/october-2010. Accessed on Jan. 29, 2018. Chang MA, Do DV, Bressler SB, Cassard SD, Gower EW, Bressler NM. Prospective one-year study of ranibizumab for predominantly hemorrhagic choroidal neovascular lesions in age-related macular degeneration. Retina. 2010;30(8):1171-1176. Shah SP, Hubschman JP, Gonzales CR, Schwartz SD. Submacular combination treatment for management of acute, massive submacular hemorrhage in age-related macular degeneration. Ophthalmic Surg Lasers Imaging. 2009;40(3):308-315. Rouvas AA, Papakostas TD, Ntouraki A, Douvali M, Vergados I, Ladas ID. Photodynamic therapy, ranibizumab, and ranibizumab with phodynamic therapy for the treatment of polypoidal choroidal vasculopathy. Retina. 2010;31(3):464-474. Dr. Blackorby received his medical education from the University of Oklahoma College of Medicine and his ophthalmology education from Madigan Army Medical Center. He is currently the Chief of Ophthalmology at General Leonard Wood Army Community Hospital and began his vitreoretinal fellowship at The Retina Institute of St. Louis in July 2018. Anjali Shah is a sophomore in high school. Dr. Shah is director of the vitreoretinal fellowship program at The Retina Institute in St. Louis, Missouri.